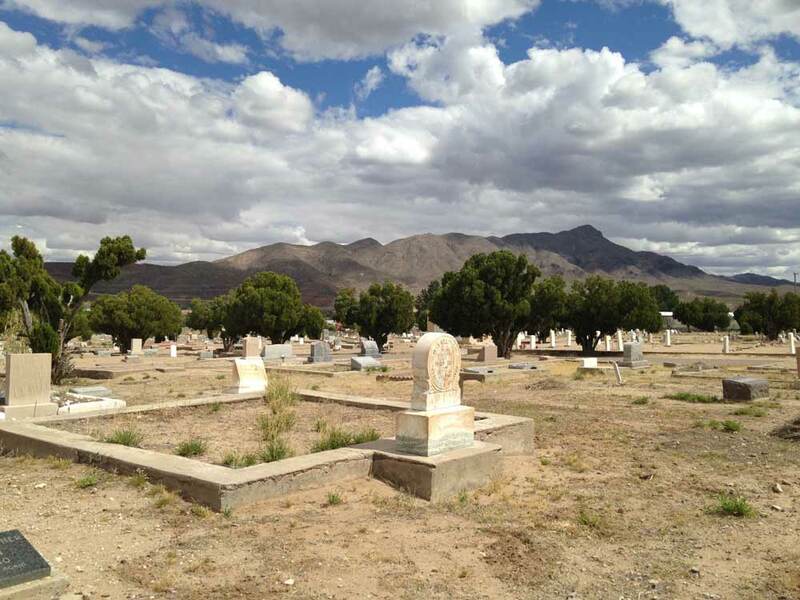 We’re starting with a small list of only 12 local cemeteries — Sierra County has double that amount, but many are on private property and others we’ve not been to yet. Many of them are accessed via roads along the two scenic byways in the county. Map pins and information will be added as we are able. 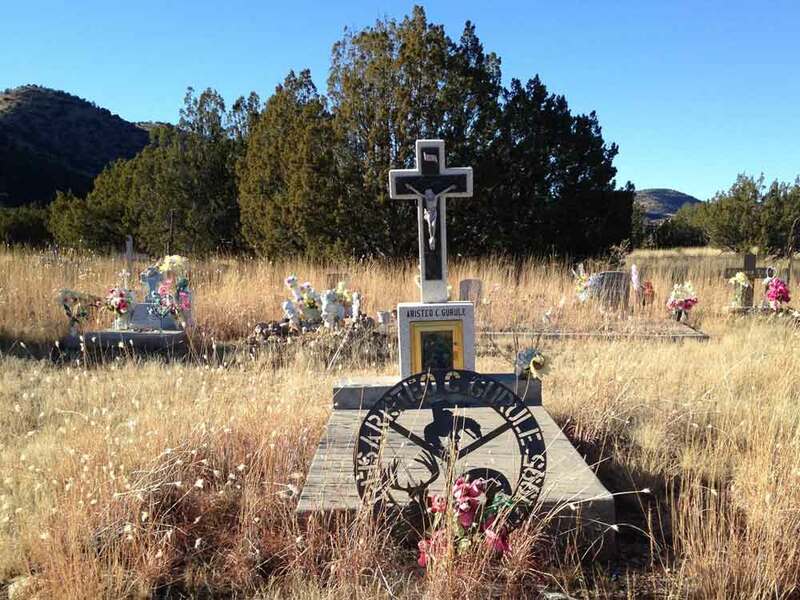 If you have input on, or images of, Sierra County cemeteries you’d like to contribute, get in touch. Supporting information on this page was borrowed from Sherry Fletcher’s video on Sierra County Cemeteries. 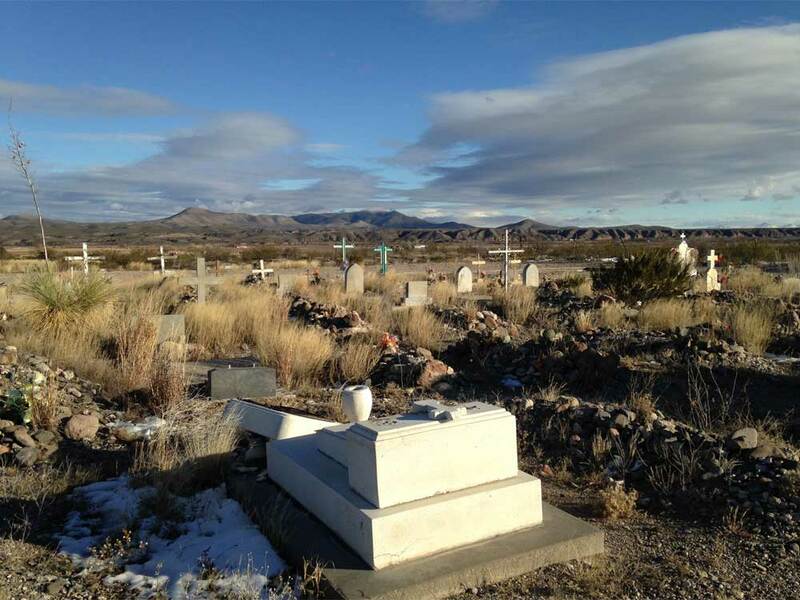 The town of Arrey was established about 1890 as “El Bonito.” The first death recorded in Arrey was that of William Bonney in 1897. 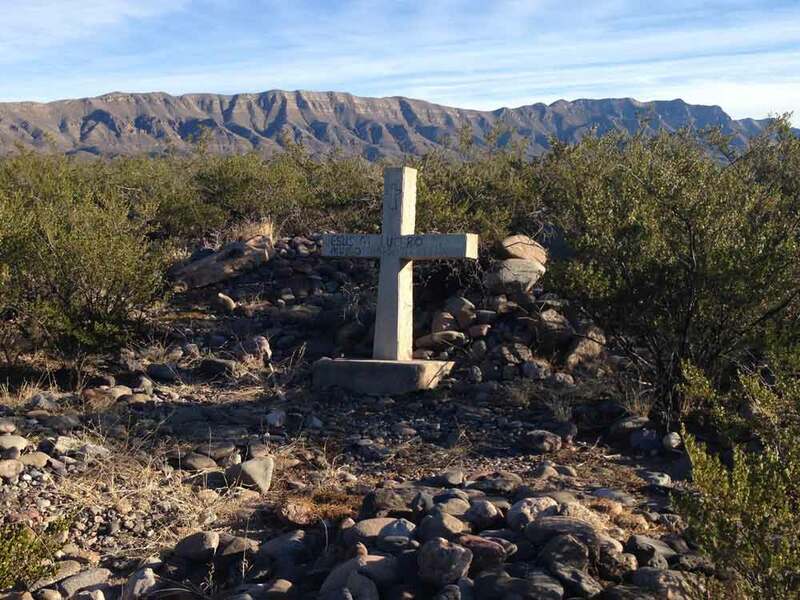 The Caballo Cemetery, an active cemetery, is a typical “western” cemetery with rocky soil and many graves marked with wooden crosses and circles of stones. Santa Niño Cemetery is one of two burial grounds in Chloride. Santo Niño is located up a road on the right as you enter Chloride. Another road on the left leads to Mountain View Cemetery, also known as Greenwood Cemetery. 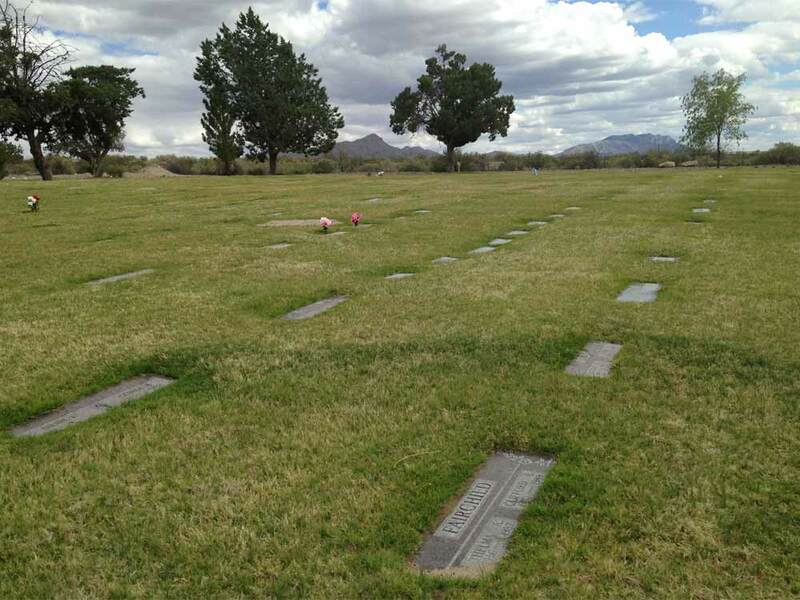 Local lore says the first person to be buried at Mountain View was a 7 month old, whose grief-stricken parents walked the hills until they found a spot that was beautiful and had a feeling of peace. 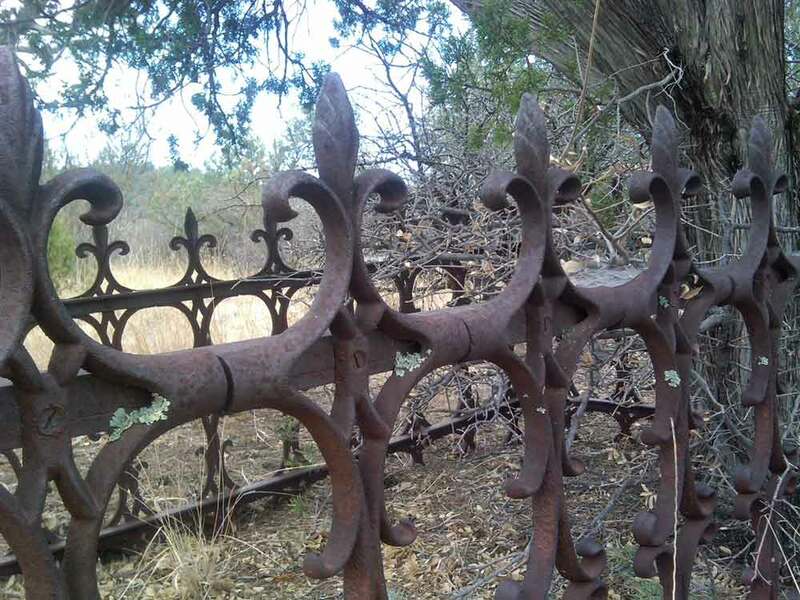 Both of Chloride’s cemeteries are western style with no perpetual care. 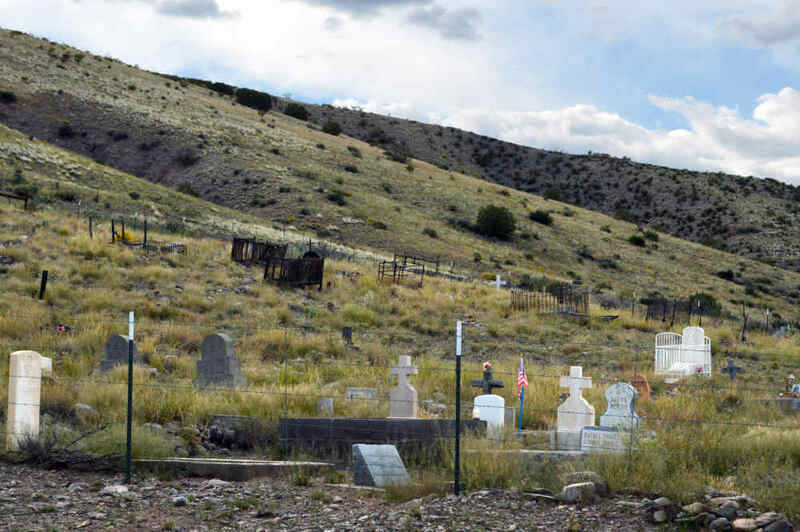 The Hillsboro Cemetery, located above town on a hill about a mile south of downtown, is a western style cemetery with many marked and unmarked graves. Though you might expect to, you won’t find the grave of Hillsboro madame Sadie Orchard here. Orchard was buried instead in the Hot Springs Cemetery, for reasons unknown to local historians. The rock work that surrounds the Hot Springs Cemetery was built in the CCC/WPA era by workers from those government programs. Several markers within have also been hand-built from stone or lava rock. All styles of stones are welcome in this cemetery. 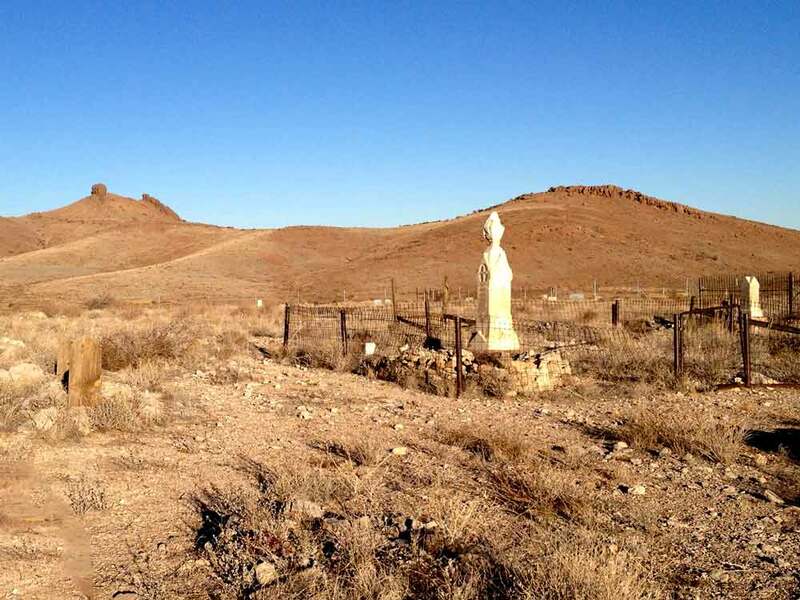 Sadie Orchard, a character of the mining area, is buried at the Hot Springs Cemetery. Sadie famously ran a house of ill repute in Hillsboro and fought against the relocation of the Sierra County Seat from Hillsboro to Hot Springs. 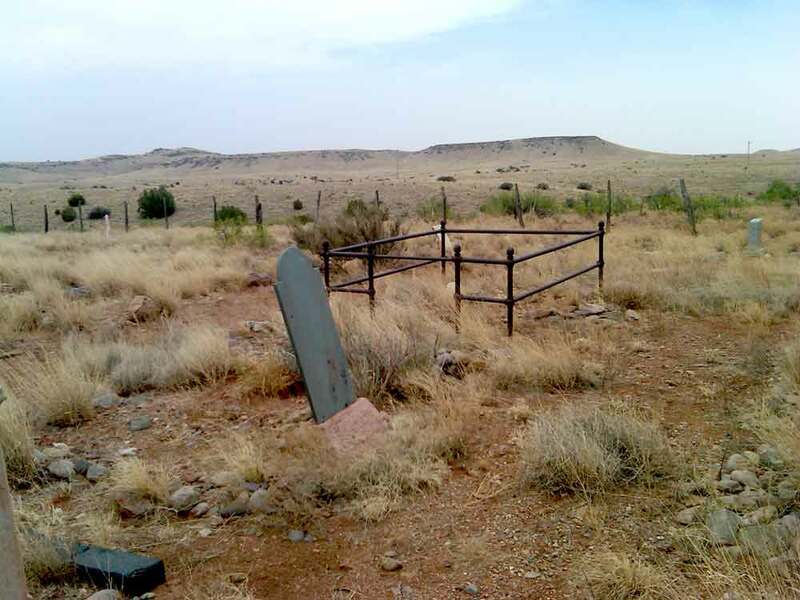 No one knows for sure why she is buried in Hot Springs instead of her beloved Hillsboro, but speculation is that at the time of her death, no able-bodied person was available to dig her grave in the rocky terrain of Hillsboro’s cemetery. Both Ernest C. Bonner and Charlie Hart Derish are buried at Hot Springs Cemetery. Bonner and Derish, partners in the “amusement” business, had a disagreement over a shipment of one-armed bandits, and ended up in a duel at point-blank range. Bonner killed Derish, and vice versa. It all went down in 1951 outside the Pine Knot Saloon on East Third Street. Jewell Glenn Mims (affectionately known as “Pop”) and his family are buried in the northwest corner of the cemetery. Pop Mims moved to the area during the Depression and purchased about 5000 acres of land from the Victoria Land & Cattle Company for $1.32 per acre. He served four terms as mayor of Hot Springs and still has descendants in the area. Former New Mexico Secretary of State Cecilia Tafoya is buried here as well. Cecilia was related to JJ Tafoya, owner of the Buckhorn Bar, a popular watering hole that sat on Main Street until approximately 2012, when it was demolished. The hilly, picturesque Kingston cemetery was established in 1884 when the GAR enclosed the 10-acre area with fencing. The GAR, aka the Grand Army of the Republic, was a fraternal organization composed of veterans of the American Civil War (the Union Army, the Union Navy, and Marines, as well as the U.S. Revenue Cutter Service). The first burial in the cemetery also occurred in 1884. 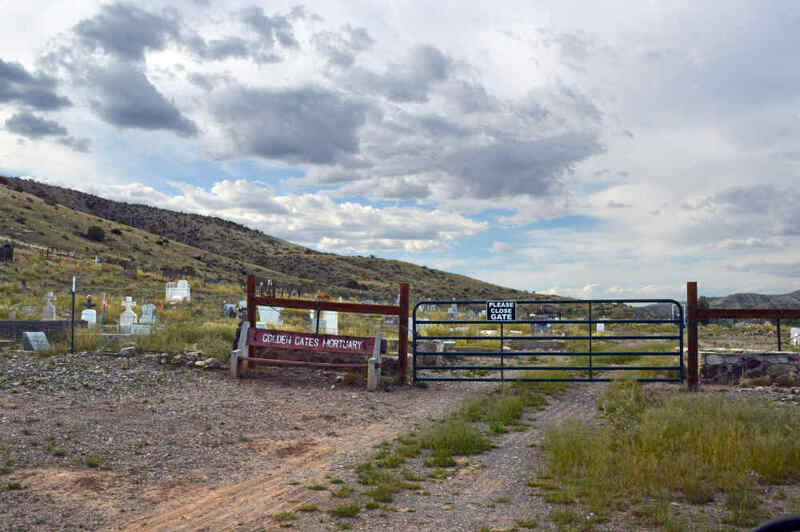 This cemetery is located south of Lake Valley, and is still used for burials. Some of the area’s first settlers are buried at Lake Valley, as are many boom-era miners and their families. There are many unmarked graves and many graves marked only with stones. Marked graves include those of James Robert Latham and Harvey Abraham Ringer. Latham was a Private in the Texas Rangers, earning $12 per month. Ringer arrived in the area in 1881, first landing in Fairview (now Winston). He later owned the Hermosa Cattle Company on north Percha, near Hillsboro, and provided beef to gold and silver mine operations in the area. 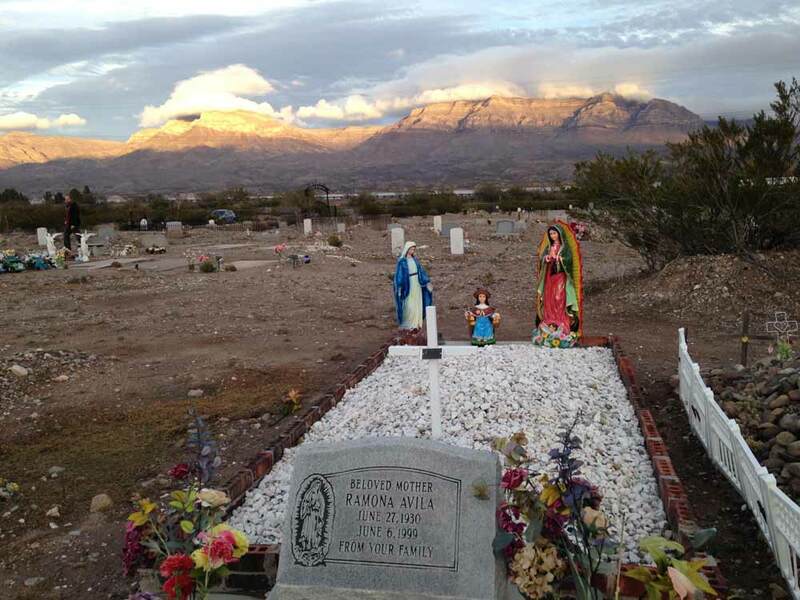 Two family cemeteries — the Apodaca Family Cemetery and the Armijo Family Cemetery — are located in Las Palomas. Shown here is the grave marker for Jesus Lucero, buried in the Armijo Family Cemetery. Graves dating from the 1800s can be found at the Monticello Cemetery. 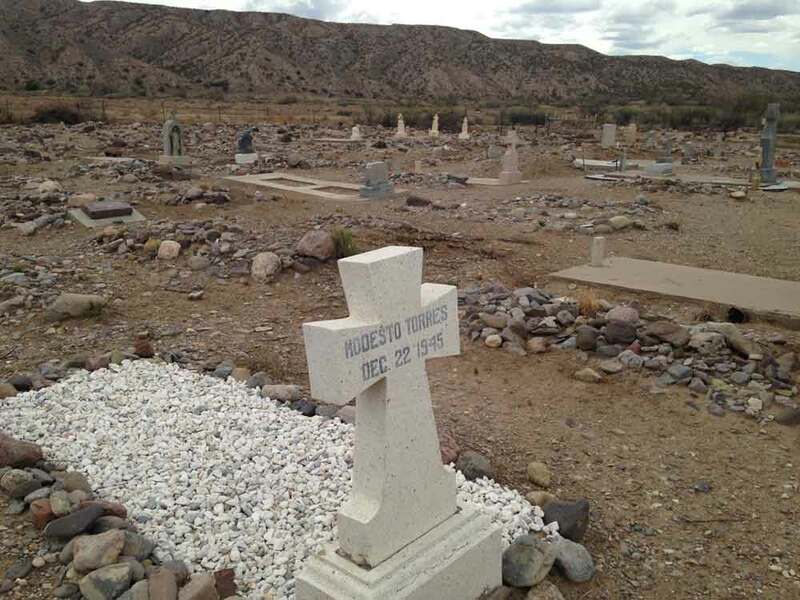 Surnames of those buried here include Alderete, Apodaca, Aragon, Archuleta, Baca, Barela, Barreras, Berero, Bierner, Billy, Bourguet, Carabajal, Carrasco, Chambers, Chavez, Conner, Delira, DeRomo, Duran, Gabaldon, Gallegos, Garcia, Gavaldon, Gomez, Gonzales, Herrera, Hill, Jaramillo, Lucero, Miranda, Montaño, Montoya, Najar, Natera, Nuanes, Oldfield, Padilla, Perea, Perez, Polito, Rael, Ramos, Ritter, Rodriguez, Romero, Ruiz, Sanchez, Schaffer, Sedillo, Silva, Street, Sullivan, Tafoya, Torres, and Trujillo. The property on which Vista Memorial Gardens sits was granted in 1972 to the City of Truth or Consequences by Dr. Ellsworth E. Hubble and his wife Virgina I. Hubble. Dr. Hubble delivered many of the area’s babies during the time he practiced locally. 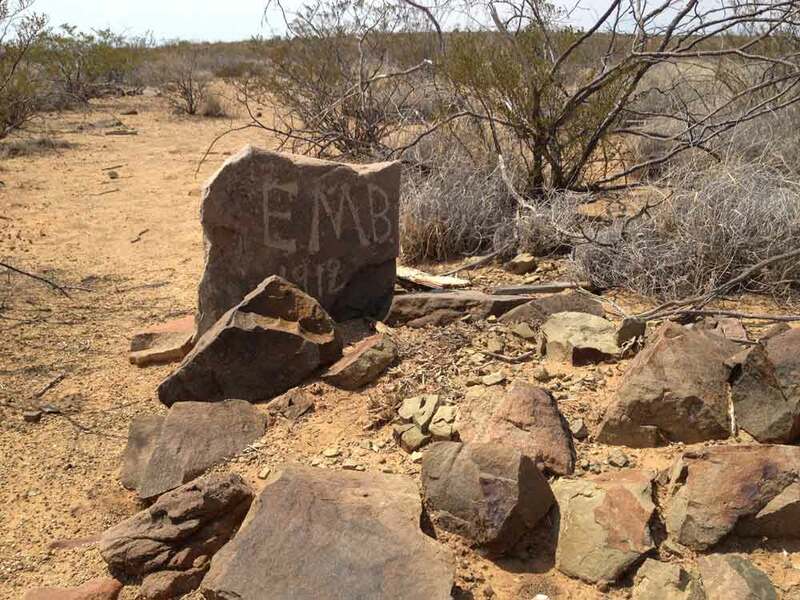 The land was originally part of Dr. Hubble’s ranch, and he is buried there. Vista Memorial Gardens is cared for by the City and remains in use.